Have you ever broken out after trying a well-reviewed skincare product that was said to be compatible with your “skin type” or that was labeled “non-comedogenic”? 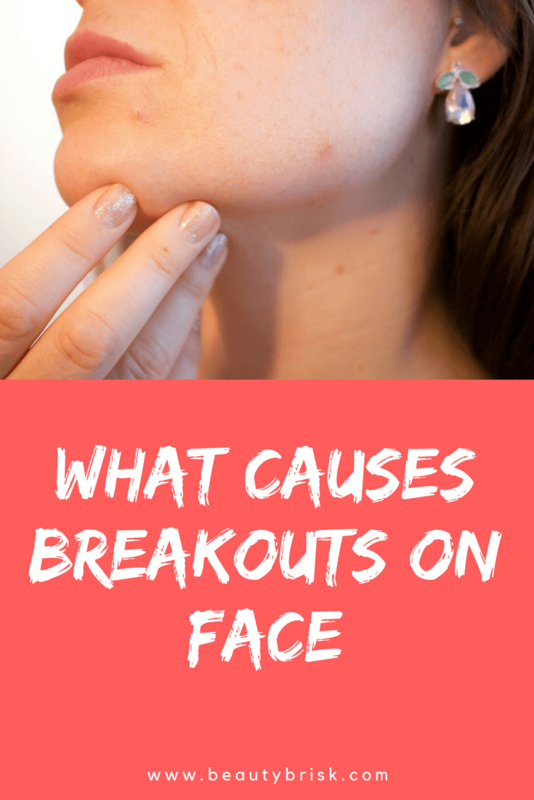 To understand why the skin of two different people can react differently to the same product, it is important to know how ingredients in skincare products interact with the pores; it also helps to be familiar with the different types of skin conditions that present as “breakouts.” Let’s take a closer look. “Pores” are hair follicles. While humans appear to have significantly less hair on our faces and bodies than other primates, the truth is that humans do not have fewer hair follicles. We simply have a higher incidence of very fine or nearly invisible hairs, each of which grows from inside a follicle. A hair follicle consists of a sheath under the skin which contains a hair root; at the end of the root is a base, called the bulge, from which the hair grows up and out. What Does “Comedogenic” / “Non-Comedogenic” Mean? A “comedo” (plural: “comedones”) is the dermatological term for a hair follicle that has become clogged by a mixture of keratin (a structural protein of skin, hair and nails) and sebum (skin’s natural oil). Keratin is produced by cells called keratinocytes; these make up the majority (over 90%) of the cells on the four-to-five outer layers of the skin, called the epidermis. In the epidermis, keratin plays an important role in the formation of skin’s barrier against outside elements; it is responsible for keratinization (or cornification), a process in which surface skin cells fill themselves with keratin until they dry up and are replaced by new cells in a perpetual cycle. This cell turnover also happens on the inside walls of a hair follicle; dead skin cells are pushed out of the follicle by the hair shaft as it grows. Excessive shedding of keratin from follicle walls (hyperkeratinization) has been linked to increased risk of clogged follicles and acne. For this reason Vitamin A (retinol), which regulates keratinization as well as sebum production, is often used along with a category of related chemicals called retinoids in the treatment of acne. Sebum is produced by sebaceous glands, which are present everywhere on the human body except the palms of our hands and the soles of our feet; sebaceous glands are most densely packed on the face, scalp, and middle of the back. On either side of a hair follicle sheath, there are one or more sebaceous glands that deposit sebum onto the hair shaft; the sebum then leaks out of the follicle onto the skin and hair. All mammals produce sebum, which helps preserve the elasticity of skin through lubrication and retains moisture in the skin by repelling water (i.e., blocking it from evaporating out of the skin). Sebum is composed of free fatty acids (a type of carboxylic acid found in fats and oils, called “free” when its molecules are not attached to other molecules), wax and sterol esters (esters are chemical compounds composed of two or more chemical elements, in this case fatty acids combined with alcohols), triglycerides (esters of glycerol and fatty acids) and squalene (an organic molecule present in oils produced by plants and animals). Keratin and sebum can combine to form a plug in the opening of a follicle, which grows into a comedo as sebum is trapped and builds up behind the plug. A comedo can be open at the top, which causes its surface pigment to oxidize (to react chemically with oxygen in the air) and turn black, forming a “blackhead”; it can also be trapped under the skin, thus remaining a “whitehead” (these are different from white-tipped pimples, which are colloquially referred to as “whiteheads”). Comedones can be present either on their own or as a precursor to acne lesions (pimples). Substances which are “comedogenic” are those which are known to trigger or increase the occurrence of comedones, which may in turn increase the occurrence of acne lesions. The bacteria Propionibacterium acnes, or P. acnes, is one of about 1,000 species of (usually harmless) bacteria present on human skin. P. acnes lives inside follicles, where it feeds on sebum. In a clogged follicle a buildup of the digestive enzymes and byproducts produced by P. acnes can damage and inflame the follicle, causing acne lesions (pimples) of varying size and depth. While several types of microorganisms can inflame follicles, P. acnes is the bacteria most commonly associated with acne lesions. However, the cause of acne is not so straightforward as a clogged follicle or the presence of bacteria. According to DermNetNZ.org, “[The] severity of a person’s acne does not depend on the number of bacteria on the skin surface or in the sebaceous ducts.” The inflammation of an acne lesion is caused by an immune response within the follicle, and as such it can vary in severity depending on an individual’s sensitivity to P. acnes; excessive immune response is thought to be the most likely cause of severe cystic acne. Acne treatments that target P. acnes, whether oral (such as antibiotics of the tetracycline category) or topical (such as benzoyl peroxide and salicylic acid), typically also have anti-inflammatory properties. The amount of excess sebum production is also linked to the degree of acne, and oily skin is commonly seen in acne sufferers; however, according to Dermatology, 3rd Edition (Elsevier, 2012), “[Increased] sebum alone is insufficient to cause acne vulgaris, as witnessed by the fact that patients with Parkinson’s disease have marked seborrhea but do not get acne” (Pathophysiology, para. 2). How Is Acne-Prone Skin Different? According to a 2010 article published by Lipids in Health and Disease, studies have found that inflammation begins in acne-prone skin even before the occurrence of clogged pores; higher levels of cytokines (proteins which trigger an immune response to infection) have been found in the follicles of acne-prone skin. Damage caused by oxidation (reaction with oxygen atoms) is thought to be responsible for the initial inflammation; increased invasion of oxygen into the follicle also creates a more welcoming environment for P. acnes to grow, which in turn worsens the inflammation. The most likely reason for increased oxidation in the follicle is elevated levels of squalene, a lubricant found in sebum which is highly susceptible to oxidation due to its molecular structure. The sebum in acne-prone skin is not only higher in volume but also has a different composition, containing less fatty acids, more triglycerides and wax esters, and more squalene. According to www.StevenHamley.com.au, the byproducts of squalene oxidation (as well as oxidation of other lipids in sebum) not only trigger inflammation but also cause hyperkeratinization, a major factor in the formation of comedones; in addition, they cause the depletion of an important antioxidant (preventative of aging and illness due to cellular damage from oxidation) called glutathione. A 2006 study by researchers from Jordan University of Science and Technology identified lower levels of vitamin A and E (which are antioxidants) in acne sufferers, with levels decreasing in proportion to the severity of acne; according to the study, subjects with “severe” acne had “significantly” lower vitamin A and E levels than those with mild acne or no acne. A 2014 study from The University of Afyon Kocatepe in Turkey reported similar findings; additionally, zinc (another antioxidant) levels were found to be significantly lower in acne-prone subjects. The triumvirate of “oily,” “dry” and “combination” skin types is a common shorthand for problem skin (usually presented in contrast to “normal” skin) and is used to describe the function of skincare products to consumers, but there is no such delineation in dermatology. The only system of “skin type” used in dermatology is the classification of skin colors as they relate to ultraviolet (UV) light sensitivity; this is done using a system called The Fitzpatrick Scale, conceived in 1975 by Harvard dermatologist Thomas B. Fitzpatrick. Why Would A Product Labeled “Non-Comedogenic” Cause Breakouts? According to Consumer Reports’ GreenerChoices.org, “[There] is no official FDA definition or list of ingredients that are considered to be non-comedogenic, and there is no officially recognized standard or test to determine the comedogenicity of ingredients.” While there are methods for testing the comedogenic potential of a product, there is not one standard method or metric which is regulated by the FDA; what this means is that not all products are using the same definition of “non-comedogenic” as determined by scientific trials. This relativity of the legal definition of “non-comedogenic” contributes to inconsistent results for the consumer. How Is Comedogenic Potential Tested? Human skin is sometimes available to evaluate comedogenic potential in trials using volunteers; in this case it is usually the skin on a volunteer’s back which is used. However, the most common laboratory test used to evaluate the comedogenicity of beauty products involves the underside of a rabbit’s ear, as the follicles on the inside of a rabbit ear are similar in structure to human follicles. This practice has its origin in the early 1940s following a study, published in Industrial Medicine in 1941, which found that rabbit skin responded similarly to human skin when exposed to a series of pesticides that had been reported to cause acne symptoms in exposed workers. Rabbit ear studies have identified various ingredients in cosmetic products as most likely to be comedogenic. A well-known 1989 study by the Acne Research Institute (ARI) on comedogenicity (as well as irritancy) rated ingredients commonly used in skincare products on a scale of “1” to “5,” with “0-1” indicating “no significant increase” in the formation of comedones; “2-3” was assigned to substances causing “a moderate increase” in comedones, while “4-5” classified ingredients which produced “an extensive increase” in comedones. What Makes An Ingredient Comedogenic? According to the ARI study of comedogenicity, for a substance to be comedogenic its molecules must first be able to enter follicles. Following this, the substance must also contribute to the buildup of excess keratin on the inside of the follicle walls. Its molecules are attracted to, and thus soluble (can dissolve) in both water and oil. Its molecular weight (size) is between 200 and 300 daltons (units of atomic mass). There has been extensive research about mitigating comedogenic effects via methods such as altering the chemical composition of these substances or diluting them. When ingredients are altered to make them less comedogenic, it is by making their molecules more attracted to water and less attracted to oil or by increasing their molecular weight (which also increases viscosity, or thickness, of the ingredient). One example is lanolin, an oil extracted from sheep’s wool, which is a common ingredient in moisturizers and conditioners and can be either comedogenic or non-comedogenic. In one form (PEG-16) it is rated “4,” or highly comedogenic, but when chemically altered to be more viscous and more water-soluble (PEG-75) it rates as non-comedogenic. Another example is vegetable oil, which is comedogenic but can be made effectively non-comedogenic with a 25% dilution in mineral oil. Because of the way ingredients interact via factors such as dilution, the comedogenic potential of a skincare product can only be evaluated after the product is formulated; adding up the comedogenic ratings of each individual ingredient will usually not yield an accurate result. Studies have disproved popular misconceptions about what makes a substance comedogenic, but some myths still persist. For example, research shows that there are both comedogenic and non-comedogenic oils, but many acne sufferers are told that all oils will exacerbate acne. Some myths are based on outdated studies which have since been disproved. The author of a 1972 study which had misidentified mineral oil and petrolatum (petroleum jelly) as comedogenic, Albert M. Kligman of the Department of Dermatology at the University of Pennsylvania School of Medicine, recanted those conclusions in 1996; Kligman conducted a study using up-to-date methods and found that petroleum jelly had no comedogenic effects. Mineral oil is also now considered non-comedogenic. Why Would A Skin Product Cause Breakouts In One Person But Not Another? Since the formation of acne lesions relies on individualized factors such as immune response, sebum levels and the rate at which keratin sheds inside the follicle, one person can be more sensitive to low levels of comedogenic ingredients than another. Additionally, a product can be non-comedogenic while exacerbating other skin conditions that present similarly to acne. It’s important to note that a non-comedogenic substance can still be a skin irritant, an allergen, or contaminated with bacteria. There are a number of conditions which “mimic” acne but have different causes, such as infections or reactions to medications. Often these acne-like conditions do not respond to treatments formulated for acne. Common acne-like conditions include bacterial resistance infections from long-term use of oral antibiotics (“gram-negative folliculitis”), reactions to long-term use of topical anti-inflammatory steroids (“perioral dermatitis”), and over-proliferation of yeast on oily skin (“pityrosporum folliculitis”). Inflamed follicles can be included in the symptoms of rosacea. Follicles can also become inflamed after shaving or other hair removal methods; this is often caused by either ingrown hairs (“pseudofolliculitis”) or staph bacteria (“staphylococcal folliculitis”). “Hut tub folliculitis” is a common skin infection caused by prolonged contact with water that has been contaminated with the bacteria Pseudomonas aeruginosa. Some types of skin inflammations resulting from allergens or irritants can also result in inflamed follicles or small bumps that may be mistaken for acne. How Do You Know Which Products Are Safe To Try? For the risk-averse, one option is to use products containing only one or a few ingredients, and to check that all ingredients are substances that have been independently verified as non-comedogenic in lab tests. With products that contain many ingredients, trial and error is still the best method; however, online reviews of skincare products, particularly on websites catering to people with acne-prone skin, can make the process of experimentation much easier. Barel, A., Paye, M., & Maibach, H. (2001). Handbook of cosmetic science and technology (1st ed.). New York: Marcel Dekker. Thiboutot, D. (2000). The role of follicular hyperkeratinization in acne. Journal Of Dermatological Treatment, 11(2), 5–8. Fulton, J. (1989). Comedogenicity and irritancy of commonly used ingredients in skin care products. J. Soc. Cos. Chem, 40, 321–333. Bolognia, J., Jorizzo, J., & Schaffer, J. (2012). Dermatology (1st ed.). [Philadelphia]: Elsevier Saunders. Saint-Leger, D., Bague, A., Cohen, E., & Lchivot, M. (1986). A possible role for squalene in the pathogenesis of acne. I. In vitro study of squalene oxidation. British Journal Of Dermatology, 114(5), 535–542. Cunliffe, W. (1989). Acne (1st ed.). London: M. Dunitz. Pappas, A., Johnsen, S., Liu, J., & Eisinger, M. (2009). Sebum analysis of individuals with and without acne. Dermatoendocrinol, 1(3), 157–161. Ozuguz, P., Dogruk Kacar, S., Ekiz, O., Takci, Z., Balta, I., & Kalkan, G. (2013). Evaluation of serum vitamins A and E and zinc levels according to the severity of acne vulgaris. Cutaneous And Ocular Toxicology, (0), 1–4.